Chicken Soup for the Soul Entertainment, Inc. ("CSS Entertainment") (Nasdaq: CSSE), a growing media company building online video on-demand ("VOD") networks that provide positive and entertaining video content for all screens, today announced a new pet-themed TV series, Chicken Soup for the Soul's Animal Tales. "Chicken Soup for the Soul has been successfully creating pet-related content and products for quite some time now," noted William J. Rouhana, chairman and chief executive officer. "From our pet-themed books to our line of premium pet food and treats, Chicken Soup for the Soul consistently encourages the well-being of animals." Chicken Soup for the Soul's Animal Tales will consist of 15 half-hour episodes and will be sponsored by Chicken Soup for the Soul Pet Food and American Humane, the country's first national humane organization. Chicken Soup for the Soul Pet Food makes a complete line of super premium dog and cat food, made from the finest natural ingredients for every stage of pet life. American Humane has sponsored content with CSS Entertainment in the past, telling the heroic and inspiring stories of the safety, welfare, and well-being of animals. "We're excited to sponsor this great television series that will celebrate everything pets and animals add to our lives. The series will bring awareness to our mission of helping all pets eat well, whether that's by making super premium pet food that is affordable or donating millions of meals to shelter pets every year," said Chris Mitchell, chief executive officer of Chicken Soup for the Pet Food. "People are always so reassured to find out that our pet food is from the same brand that has brought inspiration and joy into millions of homes for decades through its well-loved book series. I think this television series will help even more people make that connection." "American Humane is first to serve in promoting and nurturing the connection between people and animals," said Dr. Robin Ganzert, president and chief executive officer of American Humane. "We look forward to being a part of a series that showcases these bonds and tells the stories of exceptional animals and the relationships we have with them." The series will air weekly on The CW on Saturday mornings beginning January 5, 2019 during the "One Magnificent Morning" block. Chicken Soup for the Soul Entertainment, Inc. ("CSS Entertainment") (Nasdaq: CSSE), a growing media company building online video on-demand ("VOD") networks that provide positive and entertaining video content for all screens, today announced the acquisition of APlus.com ("A Plus"), the digital media company co-founded and chaired by Ashton Kutcher for $15 million in cash and stock. "Our historic relationship with A Plus has greatly benefited our company as we used A Plus's ability to generate video views to help attract major advertisers to sponsor our television series. As we ramp up series production, we expect to rely even more heavily on the A Plus distribution capability," said William J. Rouhana, Jr., chairman and chief executive officer. 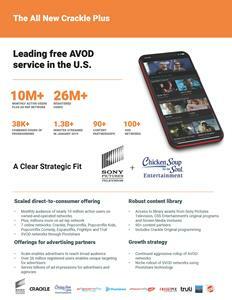 "By eliminating video view distribution costs, this acquisition is expected to result in $5 million of cost savings in 2019 and will enhance our ability to increase the commitments we make to advertisers and increase our number of original series." Ashton Kutcher received shares for his portion of the company, increasing his stake in CSS Entertainment. Ashton Kutcher, co-founder and chairman of A Plus, commented, "The full integration of A Plus and CSS Entertainment makes perfect sense to further CSS Entertainment's content creation and distribution strategies." Mr. Kutcher continued, "I look forward to working with the team to continue to grow CSS Entertainment with A Plus as a wholly-owned part of the company." A Plus was co-founded in 2014 by Ashton Kutcher and majority ownership was acquired by Chicken Soup for the Soul, LLC ("CSS"), a parent company of CSS Entertainment in 2016. A Plus is a social and mobile-first platform that specializes in positive journalism and delivers video stories that bring people together. A Plus had 4.8 billion video views in the last year and increased social media followers by 50% to 2.9 million. As part of the agreement, CSS Entertainment acquired all the outstanding shares of common stock of A Plus from the holders thereof, including Mr. Kutcher and CSS in consideration for approximately 350,000 shares of CSS Entertainment stock and cash. The cash portion of the transaction was offset by the elimination of approximately $3.3 million in advances owed by A Plus to the CSS Entertainment, and all open amounts under the intercompany cash management system. Any excess amount that may be due to CSS will be deferred and will be carried in the intercompany cash management system until amortized in accordance with prior practice. Additional details of the transaction are set forth in a periodic report on Form 8-K relating to the transaction that was filed on December 31, 2018. "The net result of this transaction is the elimination of current liabilities and intercompany transactions, offsetting any cash considerations," added Mr. Rouhana. "We have streamlined our corporate structure and stand to fully benefit from the tremendous distribution reach that A Plus adds. In addition, we have deepened our longstanding and mutually beneficial relationship with Ashton Kutcher." Chicken Soup for the Soul Entertainment, Inc. ("CSS Entertainment") (Nasdaq: CSSE), a growing media company building online video-on-demand ("VOD") networks that provide positive and entertaining video content for all screens, today announced its nomination for a Realscreen Award in the "Digital and Branded Content: Brand-Funded Content" category. The Realscreen Awards honor the best in unscripted and non-fiction entertainment. CSS Entertainment is nominated for its series Vacation Rental Potential, which it created with HomeAway. 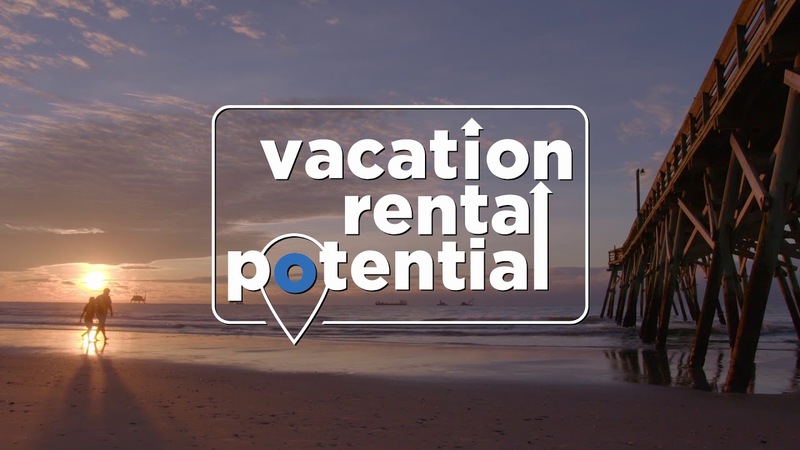 Vacation Rental Potential features host Holly Baker, as she visits destinations across the country with prospective homeowners to help them find the vacation home of their dreams. The series initially aired on A&E and became the most watched show in the network's "home" category. The first season also aired on FYI. "We are excited to have been nominated for a Realscreen Award for Vacation Rental Potential," said William J. Rouhana, chairman and chief executive officer of CSS Entertainment. "This series is a great example of how we are able to work with a major brand like HomeAway, to create entertaining, content that seamlessly integrates its message into the storytelling." "As more and more consumers use ad-blockers and skip ads with DVRs, many sponsors are turning to inventive ways to reach audiences. This nomination is a strong indicator that we are an excellent partner for sponsors looking to expand beyond traditional advertising methods to convey their brand messaging," noted Rouhana. CSS Entertainment and HomeAway are currently in production for a second season of the series. The 2019 Realscreen Awards will take place at Realscreen Summit on Tuesday, January 29, 2019 at the Sheraton New Orleans Hotel. Chicken Soup for the Soul Entertainment, Inc. ("CSS Entertainment") (Nasdaq: CSSE), a growing media company building online video-on-demand ("VOD") networks that provide positive and entertaining video content for all screens, today announced that management will participate in two upcoming conferences. The company is scheduled to participate in the Benchmark Microcap Discovery Conference being held on November 29, 2018 at the Palmer House Hilton in Chicago, IL. For more information, or to schedule a meeting with management, please contact your Benchmark representative. Management will also present at the 11th Annual LD Micro Main Event investor conference at 8:30 a.m. PT on Tuesday, December 4, 2018, at the Luxe Sunset Boulevard Hotel in Los Angeles, CA. The conference will be held December 4-6, 2018. For more information, or to schedule a meeting with management, please contact your LD Micro representative. Chicken Soup for the Soul Entertainment, Inc. ("CSS Entertainment") (CSSE), a growing media company building online video-on-demand ("VOD") networks that provides positive and entertaining video content for all screens, today announced the acquisition of the assets of Truli Media Corp.
CSS Entertainment recently completed the acquisition of Truli.com, a global family-friendly as well as faith-based online video channel. The acquisition includes 2,500 hours of programming and brings CSS Entertainment an additional 630,000 Facebook fans. "The acquisition of Truli's content brings our content library to over 35,000 hours of programming." noted William J. Rouhana Jr., chairman and chief executive officer of CSS Entertainment. "Truli's content fits strategically in CSS Entertainment's plans. It includes film, television, music videos, sports, comedy and educational material." Rouhana continued "Truli will become our 7th ad-supported video-on-demand channel. We will also include some of the Truli content on our Popcornflix Kids channel and create a Truli-branded subscription channel using our recently acquired subsidiary, Pivotshare." "I wanted to bring positive and uplifting content to the world." said Michael Jay Solomon, founder, chairman, and chief executive officer of Truli Media Corp. "CSS Entertainment fits perfectly with the content we provide at Truli and is best able to take Truli to the next level." Chicken Soup for the Soul Entertainment, Inc. (Nasdaq:CSSE), a growing media company with online video on-demand networks that provides positive and entertaining video content for all screens, today announced it will host a conference call and live webcast to discuss the results of second quarter ended June 30, 2018. Date, Time: Tuesday, August 14, 2018, 4:30 p.m. ET. Chicken Soup for the Soul Entertainment, Inc. (Nasdaq: CSSE), a growing media company with online video on-demand networks that provides positive and entertaining video content for all screens, today announced that its Board of Directors has declared a one-time, special dividend in the amount of $0.45 per share on its common stock, to be paid on August 10, 2018 to the stockholders of record as of the close of business on August 6, 2018. "As we approach the first anniversary of our IPO, we decided to look at ways we could enhance the return to our shareholders," said William J. Rouhana, Jr., chairman and chief executive officer. "We believe that our stock buyback program has been helpful in this effort but due to volume and price limitations we have not been able to buy shares at the pace we had hoped." As of July 24, 2018, the company has repurchased 74,235 shares of common stock since the $5 million program was authorized on March 27, 2018. "With most of the amount we allocated to the buyback still available, we decided to return this capital to our existing shareholders in the form of a special dividend that approximates the authorization remaining under our share repurchase program," continued Rouhana. "Our balance sheet remains strong, our business plan is on track, our Popcornflix AVOD business continues to create substantial value and we have ample access to non-dilutive capital should a need arise as we pursue new growth opportunities," Scott W. Seaton, vice chairman said. "We have been pleased in our discussions with possible acquisition targets to learn that they are very interested in our Series A Preferred shares as acquisition currency. Using the Series A Preferred shares will free up capital that we had planned to use for these acquisitions." "We will continue to regularly review ways to increase near-term shareholder value as we simultaneously implement our long-term business plan," said Rouhana.